No matter how much we try, we usually end up with the habits of our mothers that used to irritate us. Looking back I realised how mean and horrible I was with the old lady. Knowing what a hoarder she was, I took it upon myself to regularly conduct a spring cleaning in my mother's bedroom. I would crawl under her bed to excavate her collection of tins and boxes containing bits of string, rope and wire, old plugs, screws and nails, obsolete flash-lights, paper and plastic bags - the sort of stuff I would stash away in the nooks and crannies of my abodes here and in Kuala Lumpur! It was unkind of me to do that to her - as I am now guilty of being a magsquire (magpie cloned with a squirrel) just like her. Like mother like daughter, except I lack her patience and forbearance. In the last few weeks I've been packing my paraphernalia or my karung guni collection into boxes to be sent off as freight to KL. And in the process I re-discovered , tucked away safely in a plastic bag (where else?) on the top shelf of the airing cupboard - my mother's gift when I moved to Leicester - a beautiful patchwork batik bedspread. We both love sewing. I sewed my niece Maria a patchwork bedspread made up of sample material from Liberty's of London as a wedding present in 1996. For his 21st birthday I did the same for Shah, my brother's first-born. A patchwork spread, no matter how simple the design, is made with much patience and love. Designing, cutting and joining the pieces are a long and painstaking task. It represents an old-fashioned idea of recycling and preserving scraps of textiles into useful, beautiful and unique household items. And so it embodies the virtue of "waste not, want not" - something almost absent in today's throw-away culture. When I laid out my mother's patchwork on the bed, I could not help but notice that the remnants she had stitched together had, inadvertently, preserved parts of her history and mine. During the 1980s, on my trips home from my job in Brunei. I would wander around Bras Basah Road, People's Park, South Bridge Road, Chinatown, and Victoria Street to ferret through the little kedai selling stationery, kitchen utensils, hardware items, umbrellas and raincoats and basic crockery items from China. On one of these expeditions I found a shop on South Bridge Road selling batik shirts, blouses, dresses, handbags, purses, housecoats, hats and sarung kebaya outfits in the style of SIA's uniforms. I also noticed the shopkeeper had placed bundles of batik scraps and remnants in a plastic bag on a table just outside his shop, priced at five dollars each. I made an inquiry and left the shop with two bundles. Mak and I drooled over this textile lode and with her blessings I made another trip the next day to buy another load - almost clearing all the shopkeeper had on his table! In the next few months, whenever I came home from Brunei, I would replenish our stock of batik remnants. Sadly the supply dwindled and eventually stopped altogether. I suspected the shop owner had diverted his stock to an agent. That put an end to our collection. It was such a shame. They had such beautiful colours with very unique floral, abstract and paisley patterns and they fed Mak's and my appetites for sewing. I may be wrong but the dark blue pieces were used for SIA's uniforms in the 70s and 80s. But this one takes the prize - a very special patch from my mother's Baju Kurung Teluk Blangah. The middle piece is from mak's kain sarung and the gems are the ones to the left and right. This baju kurung is now my very treasured and favourite outfit which I proudly wear whenever the occasion arises. These two pieces recorded my travels with the spouse in India in the 1980s. 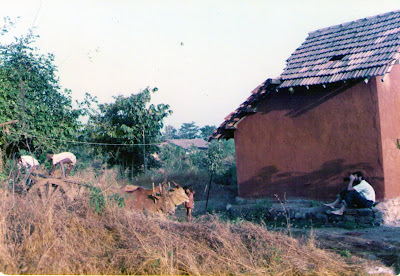 During his sabbatical leave from Leicester University, Iain would make the journey to the Academy of Development Sciences in Kashele in the state of Maharashtra. 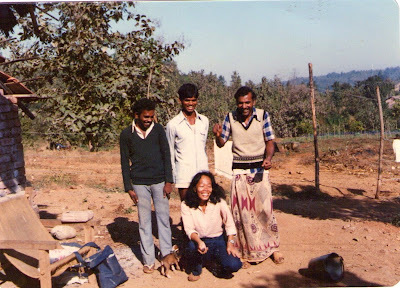 This institution was run as an NGO to advise and support the Adivasis: India's aboriginal people who live deep in the rural areas. The Academy ran a clinic, schools, carpentry and light engineering workshops and a large herbal garden for doing research on Ayurvedic medicine. They were a dedicated group of young and middle-aged Indians, some with their families in tow, who pursued no hidden agenda (like snatching souls for conversion) other than to help to improve the health and education and employment opportunities for a group of people that have been marginalised from India's development. We began our journey in Bombay (or Mumbai). 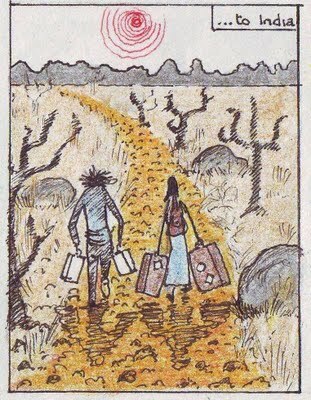 We always tried to get away from Bombay as quickly as possible to get to Kashele. From Victoria Terminus we boarded the train for Karjat - a journey that took nearly 2 hours. At Karjat railway station, we crossed the track to catch the bus for an hour long trip to Kashele. From there we walked for nearly two hours to reach the Academy. This drawing tells it all although the spouse made it look like the urban chick walking with him was as tough as old boots. Kashele - here we come. huff, puff, puff! But, once we got there, our sojourn in India took on a very fulfilling turn. There was so much to see and to learn from. Iain recording the activities of the young Adivasi workers. For a city girl from Singapore, it was for me, initially, a real culture shock. But you soon learned to find space in the shrubbery for your very own private toilet, to spend the nights by oil lamps and starlight, to make a fire to boil water for a mug of tulsi tea. (You picked the leaves from wherever you found it growing.) You also learned to take a bath and to do your laundry in the river with the other ladies during the early mornings. And you took off your hat to this little Community for their inspiring commitment and enthusiasm. There was much joy and camaraderie in our relationship during the time we were there. No fancy hotels, no beach getaways, but the time we spent at Kashele was one highlight of my life in the 1980s - helping to quell and soothe the trauma of my youngest brother Akim's death in 1982. I have never forgotten those wonderful people and at 69, it's so heartwarming that I will always be reminded of those marvellous times. AND IT'S ALL BECAUSE MY MOTHER MADE ME A PATCHWORK BEDSPREAD! My most abject apologies to my readers for this posting that went wrong. There will be one tomorrow on a totally different subject. While clearing out my bookshelves for books to pack in the freight, I came across this gem. This book, published in 1971, had travelled with me since I bought it in 1972, settling wherever I put up my feet. After graduating from Singapore University in 1967 I had a great sense of dissatisfaction. I felt there was still so much more to learn and to explore. I think that Mr Roy Haas - my Political Science lecturer - recognised that hankering in me. A few months after my graduation, he contacted me and suggested I further my studies at Cornell University - his Alma Mater. I informed him about my financial constraints but he did not think that would be too much of a problem - he could arrange it, he implied. Fired with the optimism of youth I thought I could find a way to sort out my commitments to firstly my family, and secondly my Bond with the Singapore Ministry of Education. Road. It was not an interview. I could not see any other 'candidates'. Instead, after brief introductions, I was taken for a tour of the premises, the editorial rooms, the printing rooms and so on. I must confess I have blurred memories of that episode because I was given no idea what it was all about. I found myself later in the office of the Financial Director where he briefed me on the running of the Straits Times. I also had a brief chat with a Senior Executive - a Mr Simmons, if my memory served me well. Eventually I was told what I was there for. They wanted to take me in as a graduate recruit - and I would spend a few months learning the ropes in the Singapore office before they transferred me to Kuala Lumpur. I was just 23, fresh out of University, teaching Geography, History, and Mathematics in Malay (my trials and tribulation of that period of my career need another story) and even Karangan, for someone who had only P7 for the Cambridge School Certificate Malay Language! All these offerings on my plate were creating a whirlwind in a head so young and inexperienced. With my heart and head in my stomach I went to the Ministry of Education to inquire if there was any way I could postpone working out my Bond ( for the offer at Cornell ) or negotiate a way to pay off my Bond ( this was pie in the sky for neither myself or the family had that kind of money to play with) for the job offer at the Straits Times. On both counts I was given a flat "No". End of story. End of my dreams of a more challenging career and future. I did feel sore because I found out later that someone else who was bonded in exactly the same situation as myself was given 'leave' to pursue his Masters. 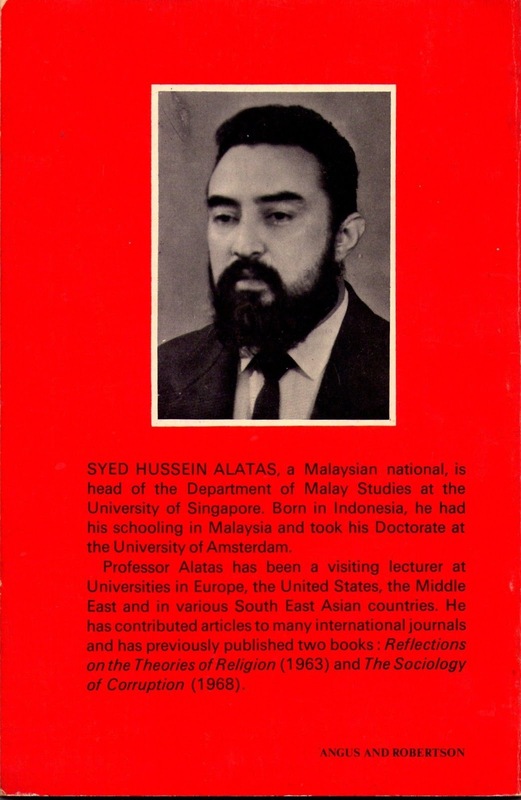 Still undeterred, I made an appointment with Syed Hussein Alatas, Professor of Malay Studies at Singapore University, to apply to do my Masters part- time. I submitted a Research Proposal on "Education and Malays in Singapore". It was accepted but I'm ashamed to say I made no headway in that endeavour. It was an undertaking that proved too much for me. Teaching took up more than the 7 to 1 schedule. I was doing my teacher training part-time. In school I was on the School Magazine editorial board. I was running the National Cadet Corp with only one other teacher as my "Second-in Command". I was also preparing my pupils for the SPM (the School Leaving Examination for the Malay Stream) which left me a bundle of nerves during the Examination and during the Results. Also, I was spending good times with my good friends like Julehar and Sim Loo Lee. With Julie and Loo Lee, we went on driving holidays to Malacca, Port Dickson, Penang and Cameron Highlands. I did all the driving and I really enjoyed that. Loo Lee and I were teaching in the same school and we would dart off several times a week to go swimming, and play squash and tennis. Loo Lee's grandmother was a Peranakan. Whenever we popped into Loo Lee's house in between swimming and squash the dear old lady would shake her head and say, "Lu dua orang suka keluar main main, swimming lah, tennis lah. Tengok! Kulit dah tak chantek - hitam legam. Siapa mahu kawin dengan lu dua?" We would laugh and tease her, "Tak apa Amah. Kita boleh kahwin orang tua - old man's darling, young man's slave." She would roll her eyes and put up her hands in despair. Dear Amah, bless her wherever she is now. 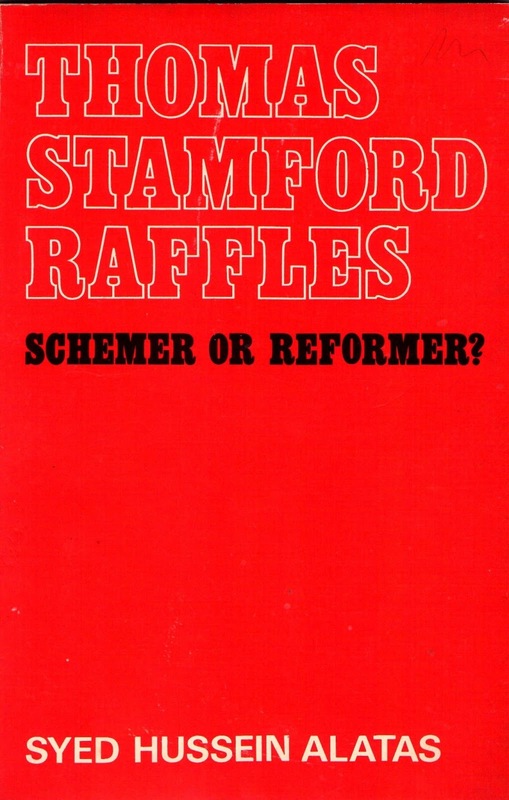 These extracts from "Thomas Stamford Raffles 1781-1826 Schemer or Reformer?" 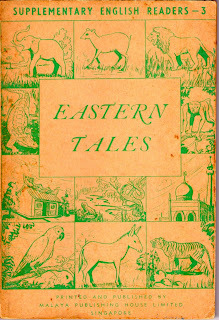 by Syed Hussein Alatas, Angus Robertson, Sydney, 1971 were sourced from "S. Raffles, Memoir ....., Vol. 1, letter to Hugh Inglis, February 13, 1814. 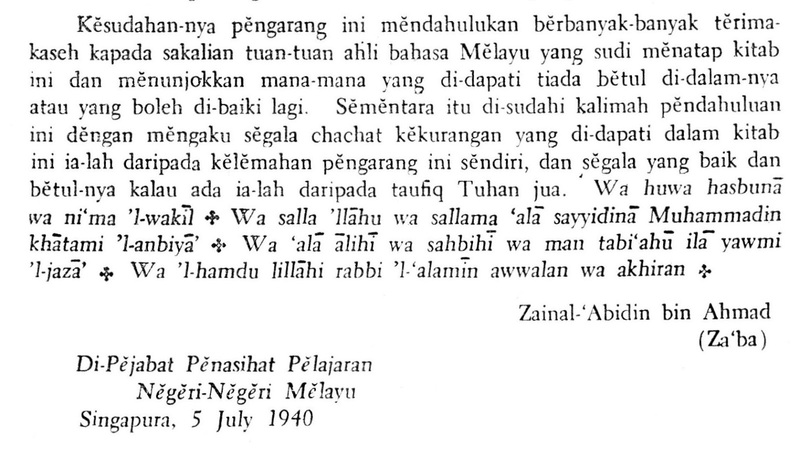 On the Malays, this was what Raffles had to say. The Chinese must, at all events, be admitted to be industrious; but the Arabs are mere drones, useless and idle consumers of the produce of the ground, affecting the descendants of the Prophet, and the most eminent of his followers: when in reality they are commonly nothing more than manumitted slaves: they worm themselves into the favours of the Malay chiefs, and often procure the highest offices in the Malay states. They hold like robbers the offices they obtain as sycophants, and cover all with the sanctimonious veil or religious hypocrisy. 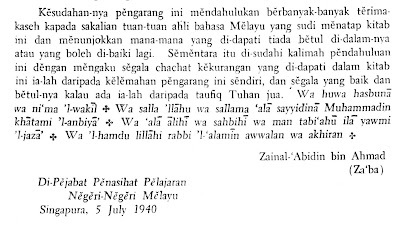 Under the pretext of instructing the Malays in the principles of Mahomedan religion, they inculcate the most intolerant bigotry, and render them incapable of receiving any species of useful knowledge. (Page 30). Though Syed Hussein's book was written 42 years ago it is still as relevant today as it was on the day it was written. I so regret that my undisciplined youth caused me to lose an opportunity to learn from this scholar. 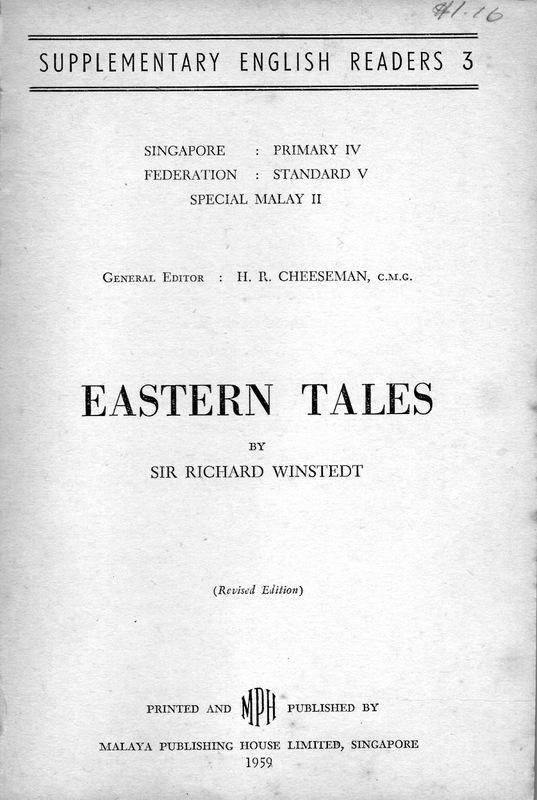 Syed Hussein's book is not just about "Raffles' Views on the Different Communities in this Area" as found in the third of five chapters. This is about the arch-imperialist Stamford Raffles, who has been given an easy ride in many history books. 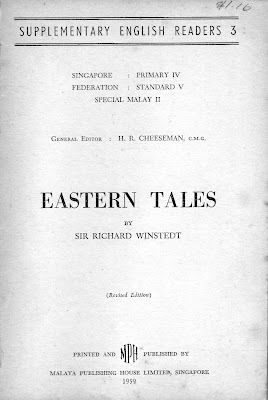 It's "An account of his (Raffles) political philosophy and its relation to the Massacre of Palembang, the Banjarmasin Affair, and some of his views and legislations, during his colonial career in Java, Sumatra, and Singapore." 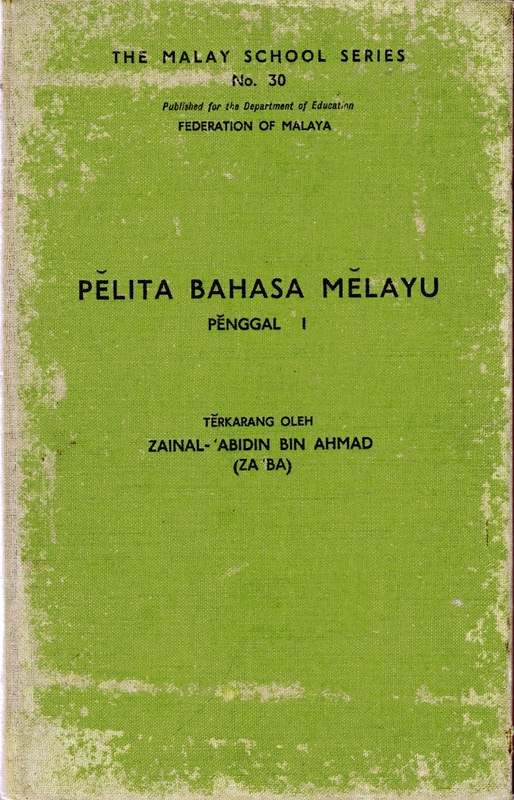 It has also been described as "An entirely new study of one of the most important historical figures of Singapore's colonial past, based on original research and translations from contemporary Malay documents." As of last week I embarked on a major project that would divert my grey matter from working its normal routine. My plan was to ship several boxes of our stuff back to Kuala Lumpur. But today turned out to be a day full of surprises. Yes we were warned about the change in weather - another cold spell because of the northeast winds. It was not only bitterly cold but sitting here in my study I observed the weather behaving like a lass who can't make up her mind as to which outfit she should be wearing. I woke up to this at 7.25 - albeit not much to complain about. Soon enough the snow disappeared, but at 9.56 am. the sky turned grey. with promise of more of the white stuff. it turned a bright blue. We braved the bitter cold to hobble along to Leicester Animal Rescue Charity Shop. Skedaddled back home for scones and a cup of hot tea. And voila! at 12.38 we were given this display. So another cuppa to warm the toes - but 31 minutes later at 13.07 the picture changed to this. I give up! It was just too much for this LOL (Loopy Old Lady) to cope with. So, she dipped into the case packed with nonsense to give away to the grandchildren. .... to document his soul-mate modelling these headgear for the two five-year olds in KL, Ilyas and Emir. WARNING: You may find these images distressing. The green-eyed monster from the deep. Clap! Clap! Clap! The show is over. Cheerio from a loopy Ash on this very different day. Three days ago I discovered more old books in the back-shed. I think this house has to be fumigated - against all sorts of ancient things, including the two inhabitants. 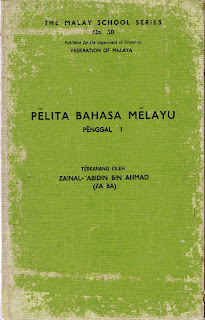 It's a cloth bound PELITA BAHASA MELAYU by Za'ba from 1954 - though it's damaged from weathering and from being munched by moths and silver fish. I love it for the "e-tanda" script, and for the last paragraph of the Introduction. This illustrates so well the humility of the man and the scholar - and especially the gracefulness of his expression. White Bird! White Bird! Why are you so thin? Of course I am thin. For the fish won't rise. Fish! Fish! Why won't you rise? How can I rise when the grass on the bank is so long? Grass! Grass! Why are you so long? Of course I am long. For the cows won't eat me. Cow! Cow! Eat the grass! How can i eat it, when my stomach aches? Stomach! Stomach! Why do you ache? Because the rice is not cooked. Rice! Rice! Why aren't you cooked? Because the wood for the fire is wet. Fire-wood! Fire-wood! Why are you wet? I am wet because of the rain. Rain! Rain! Why do you wet the wood for the fire? Of course I wet it, when frog calls for me. Frog! Frog! Why do you call for the rain? Because a snake wants to eat me. Snake! Snake! Why do you want to eat poor frog? Because he is my proper food. 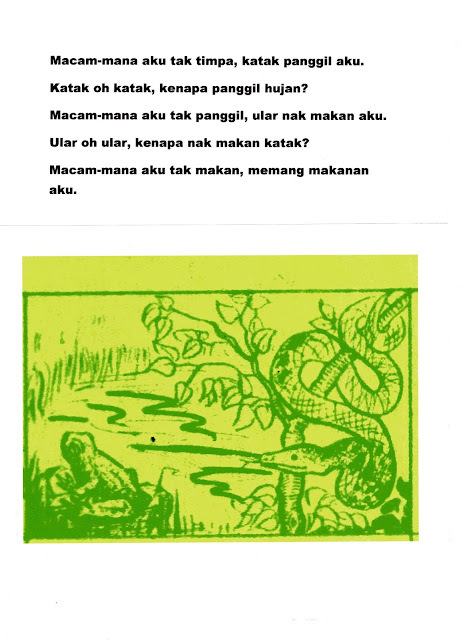 This was Winstedt's translation of the original Malay poem for children that we all treasure and love. It's a catchy, lively poem and song with a distinct galloping rhythm. 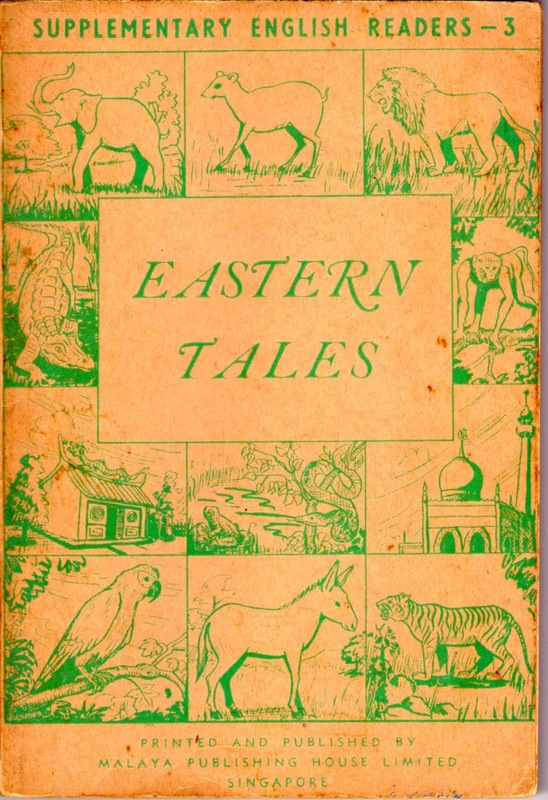 The words are simple and the familiar and homely imagery are of a riverside world, of farmers and fishermen. It is made for dramatisation and allows for a large cast of participants - ideal for a classroom. 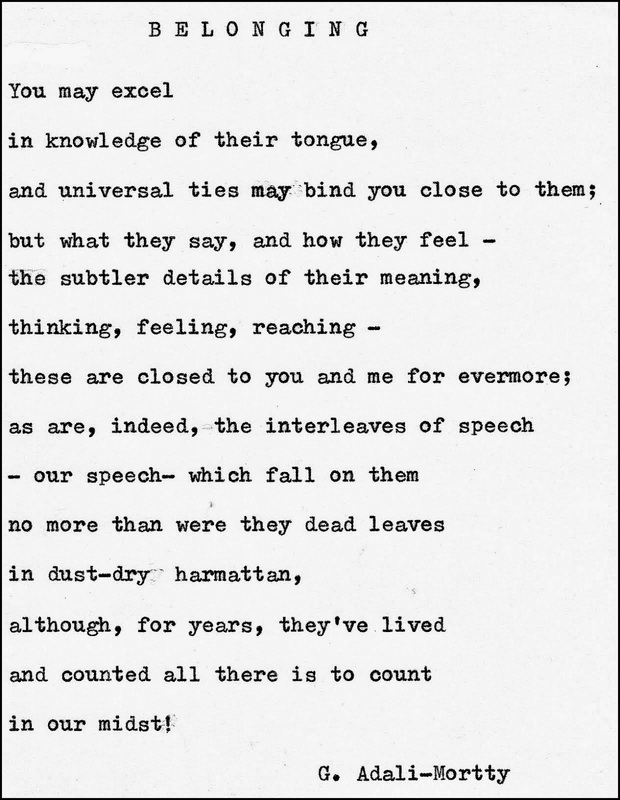 If only we could know who the writer is. 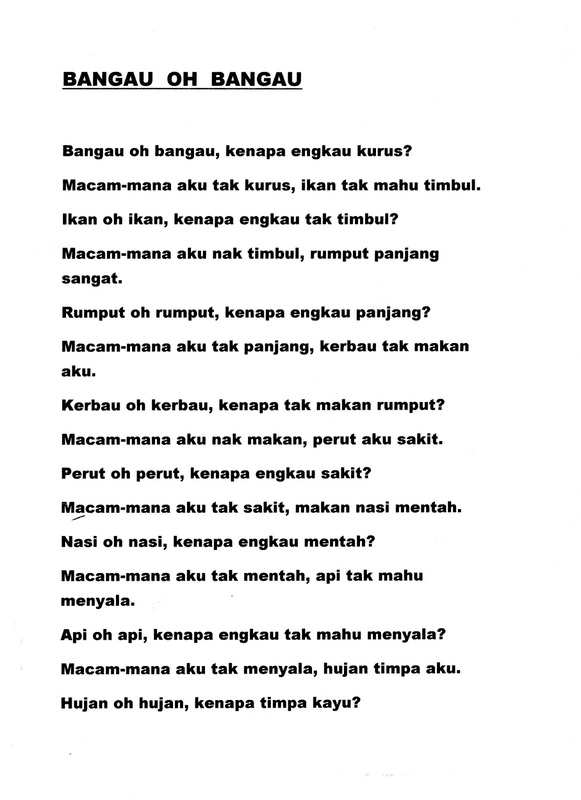 But this is typical of our traditional Malay poets, pantun writers and composers of "lagu lagu Melayu Asli" . Their names and fame were inconsequential to them. Ownership, patents and copyrights were not part of their world. But as in most traditional songs and poems, there is always a moral and a lesson tucked away in the lines. We can simply absorb them as a happy ditty or discover important depths and meaning in the allegory. At one level this song could be about the food chain and the cycle of life. At its most basic it could refer to the food chain in a grassland environment where the animals at the top rarely become a meal for any other animal. For example, humans, eagles and lions belong to this category. Below them are the snakes and they gobble up the mice. Mice are at the bottom and they consume the plants and grains. These last are considered as the producers because they make their own food by photosynthesis. But I somehow don't think the writer of this song had such a structure in mind - about a natural order of consumption and survival. At every level, our animal cast of characters are in the mess they are in because they are passing on the buck about their dilemma and inaction. The Bangau blames the Fish, the Fish reproaches the Grass, the Grass puts the onus on the Kerbau who then points the finger (or rather the hoof) at a component of himself - his Stomach! Don't look at me says the Stomach - what do you expect if you stuff me with uncooked Rice? Naturally a weak flame will not make the Rice edible but the Firewood was drenched by the Rain which was called upon by the Frog. 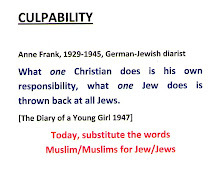 It's a long chain of blame, shifting culpability, copping out, victimhood and even cowardice. It all boils down to the Frog who turns to the rain because he dare not, or lacks the will to confront his adversary and opposition - the Snake. And in the end the last and happiest actor in this drama is the Snake who arrogantly declares, "Why question me for scaring and eating the frog? It is my right - frogs mean food!" It is only the arrogance of power. And it is an attitude we humans excel in. Think of the plight of Palestine! Think of what happened to the vastness of Africa, the spaces of the Americas and Australia, India, and the promises of bountiful trade in the Malay Archipelago. The powerful said, "They needed us - the Judaeo-Christian Order - to develop them. It's their fault for rolling over and letting us walk all over them. After all, we are the superior caste of humans, we come from the top of the food chain with our religion, weapons, money and culture!" I think the person who wrote this ditty of the Bangau could prophesy the present lament of the Malays. They have been too self-serving, too lackadaisical, irresponsible and there is no sense of accountability in the powerful and privileged. Too many are and have been sucked into a somnolent torpor now that the belly and the pockets are plump. To reverse this apathy and to recover his dignity, the Bangau has to move to another river to catch his fish but he should also be accountable to the other birds and wildlife that inhabit that river. The Frog has to take more responsibility to search for and fulfil his need for water - like getting his mates together to dig a well, or wells under the Jambu tree. As for the Kerbau he should be more disciplined about not wasting food, be sensible about his diet and cutting back on sugar, fatty food and fast food. It will not be easy - but it's better than just creating a song and dance about the Bangau's woes. Bangau Oh Bangau may be seen as a delightful children's song but there is a lot to learn from our unknown muse. This video is closest to my memory of Bangau oh Bangau - no Disney-like animation and razzmatazz!